You can’t be a Heavy Metal musician if you don’t know anything about the electric guitar right? Well the same goes for the cool heavy metal in your mouth. 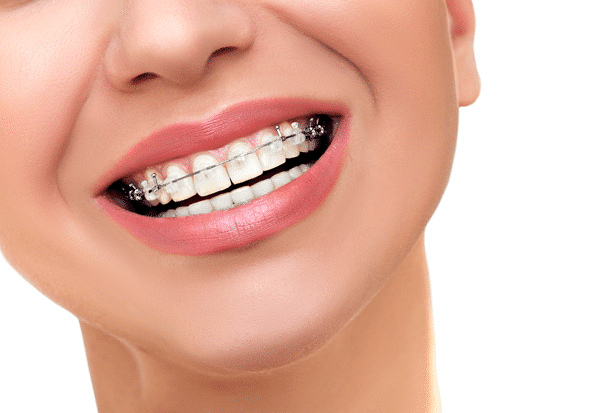 Learn the different parts of braces and how they all come together to give you the perfect smile. Dr. Milestone and his team at Milestone Orthodontics near Bloomfield, NJ help explain how each part of your braces works to help give you a beautiful smile. Archwire – The main wire that acts as a track to guide the teeth along with the use of pressure. The archwire is shaped specifically to fit around the arch of each tooth and into the bracket slots, and it’s changed periodically throughout treatment as teeth move to their new positions. Bracket – A small attachment that is secured to the tooth (most often, cemented directly onto the tooth’s surface, eliminating the need for a band) for the purpose of holding the archwire against each tooth. The archwire fits into a slot in the bracket. Brackets can be fabricated from metal, ceramic or plastic. Coil Spring – Fits between brackets and over archwire to open space between teeth. Elastic (Rubber Band) – Used to move the teeth in prescribed direction (commonly connected to the molar band and upper ball hook). Elastic Tie – A tiny rubber ring that ties the archwire into the bracket. Found in numerous colors for better appearance. Headgear Tube – Round, hollow attachment on the back molar bands. The inner bow of the headgear fits into it. Hook – Small welded or removable attachments on the brackets used to attach elastics (rubber bands). Loop in Archwire – Frequently used for closing space left by an extraction. Many archwires don’t have a loop. Tie Wire – Fine wire that is twisted around the bracket to hold the archwire in place. Contact Milestone Orthodontics at 201-845-8411 to schedule your initial orthodontic treatment consultation. And keep rocking out with the biggest smile!